This Tree Is Livin’ On The Edge! The Leaves Can’t Help Themselves From Fallin’ ! Visiting Upstate New York our friends showed us around the area, and when we came across this tree was screaming for a photo. When I saw this unique opportunity, I could not help myself to sing in my head Aerosmith song “Livin’ On The Edge”. 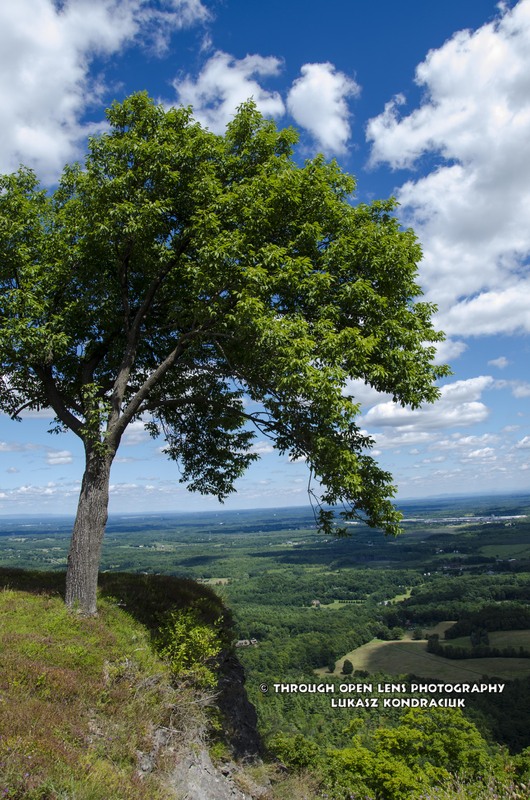 This entry was posted in Gallery and tagged aerosmith, d7000, edge, fact, landscape, livin on the edge, Nature, nice view, Nikon, NY, Photo, Photography, tree, Up state new york. Bookmark the permalink. It looks crisp and clear–no icky pollution on the horizon. Happy trees! “Living on the edge” is the right caption. Good one. What an incredible shot! I love seeing unusual things like this in nature. Beautiful pic, thanks for stopping by my blog, looking forward to yours! Amazing photography! You have a good eye for composition. 🙂 I will enjoy following your blog!